I've been in a bit of a pizza funk lately. Some of my favorite local spots have closed or moved and the long-time ones that are left just haven't been doing it for me lately. 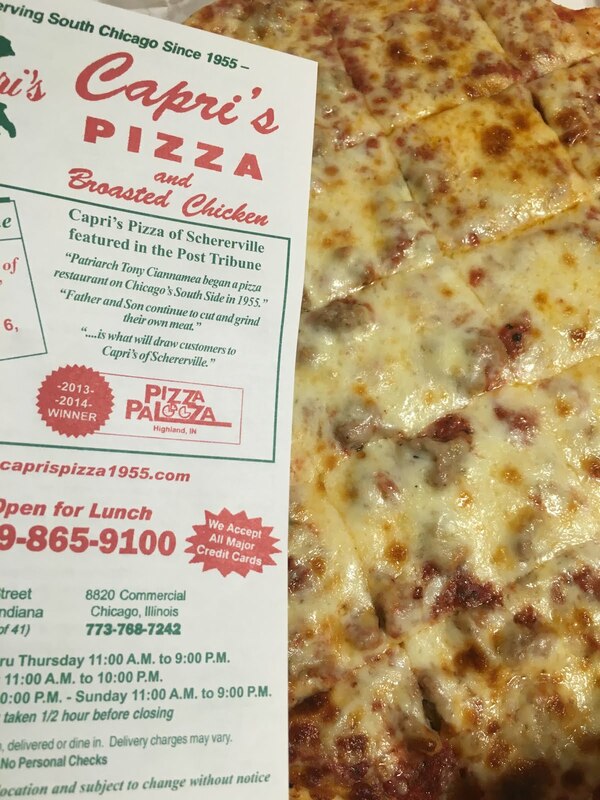 A couple friends had recommended Capri's, originally in Chicago, when it opened a spot in Schererville. I finally had a chance to give it a try and it gets a pretty big thumbs up.